The gravity furnace is also commonly called the Octopus furnace because it has long ducts coming out of the central unit. It can be quite a sight to behold and even scares some buyers the first time they see it. 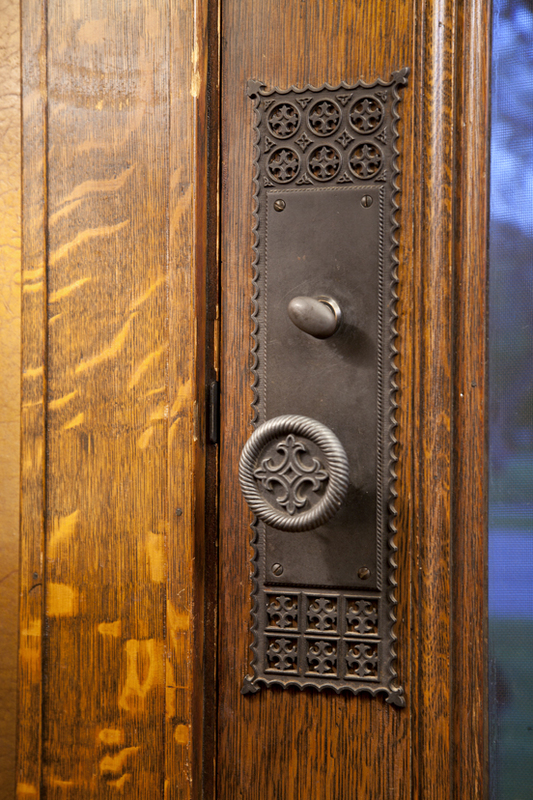 These types of units were installed in homes built in the late 1800’s and early 1900’s. There are still many homes in Minneapolis and Saint Paul which have this furnace as their heat source. Slowly, home owners are replacing them with more efficient HVAC units, as well as replacing the duct-work throughout the home. 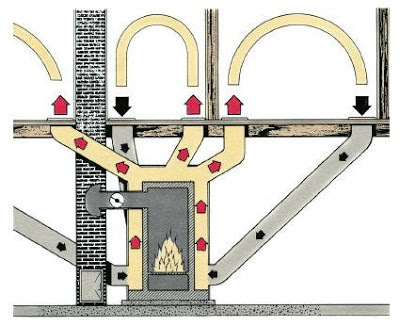 The concept of the Octopus Furnace is that heat rises and cold air falls. Heated air rises through the heat ducts and then the cold air sinks, entering the return air ducts, where it is reheated again. The original fuel source for early models was coal, but many since then have been converted to natural gas or oil. The above diagram is a great example of how it works. most gravity furnaces contain asbestos. Asbestos is not harmful if left untouched, but if you do plan on replacing your gravity furnace, a licensed abatement contractor will most likely seal off the basement and safely remove any hazardous material. I have shown homes to buyers with Gravity Furnaces and many are shocked to see one for the first time. Some even fear purchasing the home, but they are easy to get along with. 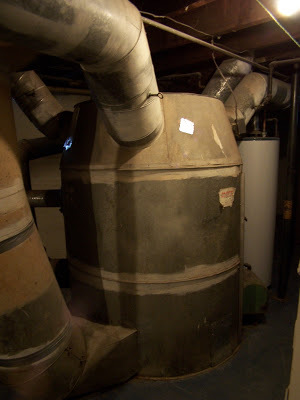 If you plan on purchasing a home with a Gravity furnace, DO think about replacing one in the near future. It will save you money in the long run.